The project common territorial challenge is to fulfil the demand to reduce workforce mismatch and increased the number of people receiving upgraded skills matching labour market, increase mobility and employability in territory of Latvia and Lithuania. Two educational institutions Liepaja Marine College(LMC)and Lithuanian Maritime Academy(LMA) has joined their efforts to solve human resource problem, both institutions provide high education and trainings in maritime transport sector, located in cities having sea ports–Liepaja and Klaipeda-cities have direct territorial demand for qualified maritime transport sector specialists. The main objective of the project is to improve the competitiveness of seafarers and logistic specialists in ports by improving education quality. Subjects in training programmes will be updated, new short training course for logistic port operation specialist will be developed in LMC, and modern training facilities:Navigation, manoeuvring and Engine control Laboratory will be installed in LMC and Port operation simulator in LMA. Teaching staff of both institutions will upgrade their qualification by participating in 3 training courses, experience exchange, create 5 learning materials for joint use. Two joint pilot groups will be organized. New approach of the project is, that LMC will use online connection to the system of Port operation simulator, installed in LMA. Another new solution–trial connection of simulator complexes in LMC and LMA. Project objective: To improve the competitiveness of seafarers and logistics specialists in ports by improving education quality. Personnel qualification enhancement and development activities – exchange of practices and training courses abroad. In the light of the newly installed Navigation, Manoeuvring and Engine control Laboratory in Liepaja Marine College and Port operation simulator in Lithuanian Maritime Academy, there was raised necessity to upgrade some specific knowledge, in order to be able to update the subjects covered within the study programmes and to level-up the qualification of the academic staff in both partner institutions. Today, on September 19, 2018, Liepaja Marine College officially opened the Navigational, Manoeuvring and Engine Control Laboratory, the installation of which was successfully completed this summer. 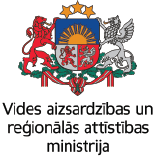 Liepaja Marine College managed to develop the laboratory within the framework of the Interreg V-A Latvia – Lithuania Programme 2014-2020 project “Improvement of workforce mobility and skills in Latvian-Lithuanian maritime transport sector ” (LatLitNaviPort). On 11 June 2018, the new Navigation, Manoeuvring and Engine control Laboratory was fully installed in Liepaja Marine College. From 11 June till 15 June 2018, Liepaja Marine College personnel attended training courses on application and use of the newly installed equipment. On 13 September 2017 the 1st Steering Committee and 1st Management Team meetings were held in the library of Liepaja Marine College main building. The Steering Committee members are social partners of the education institutions involved in the project and they are interested in improvement of maritime transport sector workforce skills and mobility in both regions. From 27 June 2017 till 29 June 2017 four representatives from Liepaja Marine College (LMC) and three from Lithuanian Maritime Academy (LMA) visited Chalmers University of Technology in Gothenburg, Sweden, for a 3-day experience exchange in the field of joint simulation network. 16.05.2017. Partnership agreement between Liepājas Jūrniecības koledža (Liepāja Marine college) and Lithuanian Maritime Academy has been signed for implementing project Improvement of the workforce mobility and skills in Latvian-Lithuanian Maritime Transport Sector.